Analyse the composition of your student body. Some fundraisers work better for younger children than for older students. Assess the size of fundraiser you wish to host. Some school do better with frequent small fundraisers, and some with one or two large events each year. Determine if you will have parents participate. 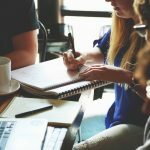 Some fundraisers are only successful if you have multiple volunteers and if the majority of your parents work fulltime, finding enough parents to plan and host a fundraiser may not be feasible. Look at the location of your school – the climate, geography, and weather. For example, having a car wash in the winter is not advisable. Make up a calendar for your school fundraisers. Some you will wish to repeat weekly, some monthly, and some only once each school year. 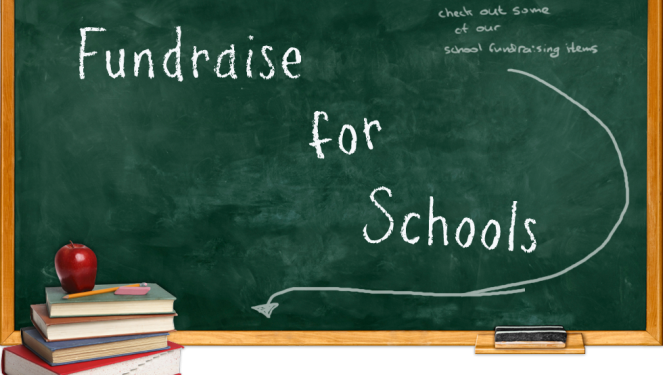 Determine which fundraisers work well for your school. Eliminate those that do not work and replace them with others. Get the word out. 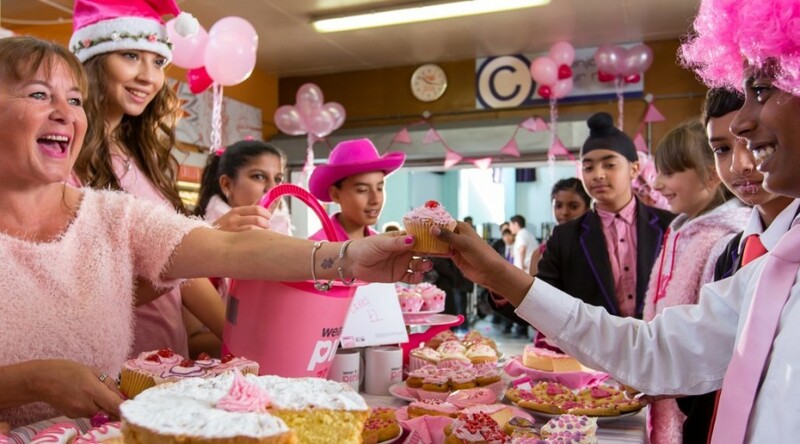 Fundraisers are only successful if the school population – students and parents – and the community knows about them. Pre-planning is a necessity. Many fundraisers fail because of poor planning. Check to see if there is local competition for the fundraiser, which you are considering. One private school set the date for a major food fundraiser when the public schools were holding a similar one. Needless to say, participation was not what they had hoped. Just because a fundraiser works for one school does not mean it will work for all schools. Look at the cultural and social climate. Having a heritage day will not work if your school has a limited number of ethnic groups represented. Big city school fundraisers have different requirements than small town school fundraisers. 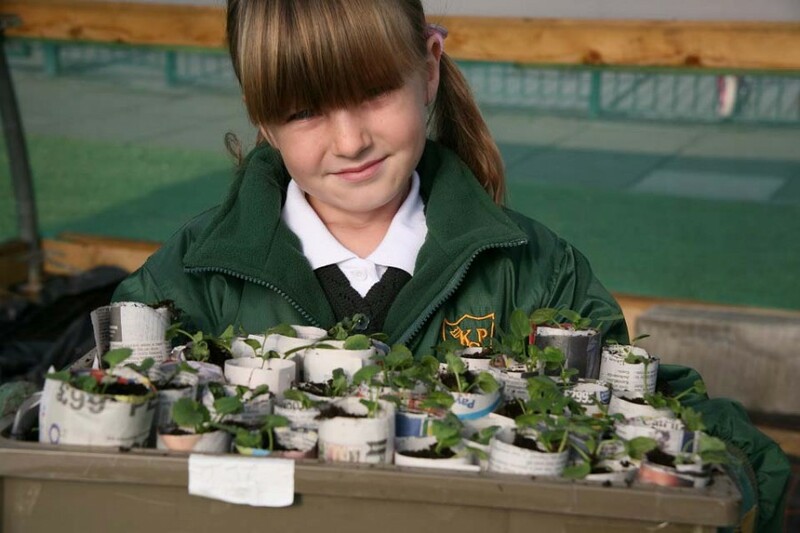 Schools with successful fundraisers involve everybody so that the responsibilities are shared. If funds are provided for multiple needs, people want to help as they are receiving the benefits from their efforts. Additionally, some school areas, such as the school canteen and sports programs are able to be self-supporting or have extra funds for improving their programs by using fundraisers. Determine ahead of time for each fundraiser which school group will be involved and who will get the funds. Some schools make the mistake of not distributing funds raised in a way that makes those participating feel they are benefiting from their efforts. 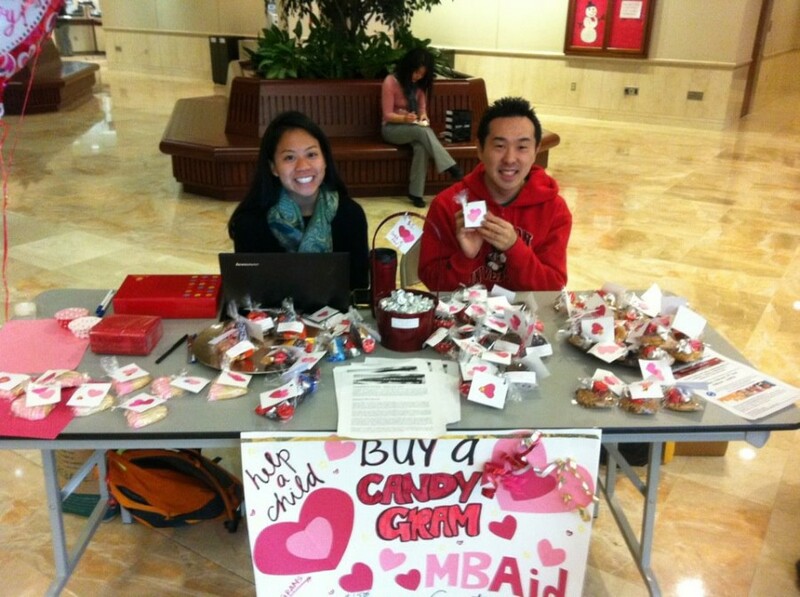 This article presents fundraisers that have worked for other schools. We have some that should be scheduled each day, some for weekly events, some for certain times of the year, some that are easy and some which take more planning. Holidays provide the perfect opportunity for a school fundraiser, as people are often busy and need to obtain holiday items quickly and easily. Additionally, many holidays emphasize giving, so finding a product others can give as a gift is a perfect fundraising idea. A haunted house fundraiser works particularly well if you are in an area where there are not many offered or if yours will cater to younger children. Many of the commercially operated haunted houses are too scary for young children. If you have the space available, consider two haunted houses, one for younger children and one for teenagers. Set up the cafeteria, auditorium, or other large area as your haunted house. Use a mixture of funny and scary works well. Make a haunted house out of your school’s gymnasium or cafeteria. A mixture of spooky and goofy is always a good combination, and the ratio here depends on the age group of students who plan to attend. You could even have two separate sections, one for younger kids and one for high schoolers depending on how much space you have to work with. Teachers and parents can dress up in scary costumes and you can have “guides,” in costume, to take the visitors through the house and add some narration to the visit. It is best to pre-sell tickets for one amount – $5 works well – and charge more ($7) at the door. Almost everyone buys a pumpkin at Halloween and many families with more than one child buy multiple pumpkins. This provides your school with a perfect fundraising opportunity. You may be able to find a local pumpkin patch willing to sell pumpkins in bulk. Set up your pumpkin sale for one weekend prior to Halloween or for several days of one week. If you wish, you can offer pre-ordering, which will give you an idea how many to order the first year. Selling pumpkins can be a very successful annual fundraiser for your school. At Christmas, people spend money on gifts, home décor, and preparation and you can take advantage of this with a Christmas fundraiser. Start in early November advertising your Christmas fundraisers in order to give everyone ample time to take advantage of your offers. Those wrapping gifts must have some training in how to do so. Packages must be labelled with contents so that they are not mixed up. A good way to do this is with a gift tag with the item or the person for whom the present is for written in pencil on the back. Decide if you are going to charge by size or the choice of paper and ribbon used. Consider using prepared boxes and bows to decrease the amount of time required to wrap presents. Determine if you will offer your gift-wrapping service to students, faculty members, people in the community, or parents. Advertise your gift-wrapping service ahead of time in school bulletins, online, and with flyers. Depending on your location, you may be able to find a local provider willing to sell a bulk number of trees and wreaths for you fundraisers. Place your order in the fall to make sure you get timely delivery. A portion of the school grounds or parking area can serve as a lot for Christmas trees. Pre-orders work well is you do not have room for storing and displaying trees and wreaths. For a week or two before Valentine’s Day, have students set up a table before school, after school, and at lunchtime to take pre-orders for Valentine’s Day flowers. Charge a reasonable price, such as $2 or less for each flower. Have available pre-made gift tags of construction paper hearts in red, white, and pink or a color to match the flowers you are selling. The purchaser writes who the flower is going to (Double check this as small children may get confused and put their own name! ), a short message, and their own name unless they want to be anonymous. Obtain flowers from a local florist willing to give you a discount for a bulk order, or purchase bouquets and separate the flowers into single blooms. On Valentine’s Day, have the flowers delivered to the purchasers the last period of the day. Make sure you let parents know they can purchase flowers for their children. Some school fundraisers are suitable for a particular time of the year. Many of those listed work well as ongoing fundraisers done every year. When school first begins, there are a number of fundraisers that provide students and parents with items that are useful. It will take some pre-planning and work during the summer months, but the time spent is well worth it. Two options exist for your school calendar fundraiser. Although most schools post their calendar online, a calendar that a family can hang on a wall or the front of the refrigerator is particularly desirable and provides an excellent fundraiser for a school. You want to include all school holidays, sporting events, and, of course, planned fundraisers. If you do not think your parents will respond well to the provision of a school calendar, consider selling a calendar for the upcoming year at Christmas time. This calendar will not only be for parents of the school, but can also be sold in the community. You can use artwork the students have produce for each month or photographs of students participating in school activities. Whichever type of calendar you choose, you can either create your own or find an on-line provider. Selling school decals for cars offer three benefits for your school: 1) School decals advertise your school, 2) School decals allow students and parents a way to represent their child’s school or participation in a specific activity, and 3) Selling school decals raises money. Create your decals with the school name or mascot. If your school is large, consider decals for sports teams and clubs. Make sure you offer decals to high school students when they begin driving and to parents of children enrolling throughout the school year. Charge attendees of the cook-off, who try different samples, and have them vote on which ones they like the best. Charge those who cook the food attendees sample and award a special prize to the one voted best. After attendees sample and vote, charge for a larger bowl of their choice. Combine one or more of the previous three suggestions. Award either a door prize or a prize for the cook voted the best. Gift certificates to a local store work well. If you have a very large school, you may wish to limit the number of participants providing soup or chili to a reasonable number. A small school may wish to have extra pots if you have more attendees than chili, soup, or stew. Car washes for fundraising have been around for years because they work. Sometimes a business will allow students to use their parking lot on a main street to generate interest in the car wash and their store. You can also hold the car wash in the school parking lot. When spring comes, families put away winter clothes and get out clothing for warmer weather, frequently disposing of items not worn, outgrown, or no longer needed, creating a perfect reason for a yard sale. Your school can generate funds and help families get rid of no-longer needed items by hosting a large garage sale with all proceeds going to the school. Donate anything not sold to a local charity. School kids love to wear hats, but school dress codes forbid them. Hat day is a simple fundraiser to put on semi-monthly. Simply charge $1 for the privilege of wearing a hat. Adhere small stickers indicate students have paid to the inside of the hat or on the back. Have a fish tank centrally located for students and teachers to drop in their spare change. Make the fundraiser competitive by placing small fish bowls in classrooms and seeing which class can fill theirs the fastest. An easy fundraiser that always works well, the winner receives a jar full of jellybeans. Place a bowl full of jellybeans or other small candies in a high traffic area. Allow students a week to guess how many jellybeans are in the jar. The winner is the student with the closest number to the actual count. 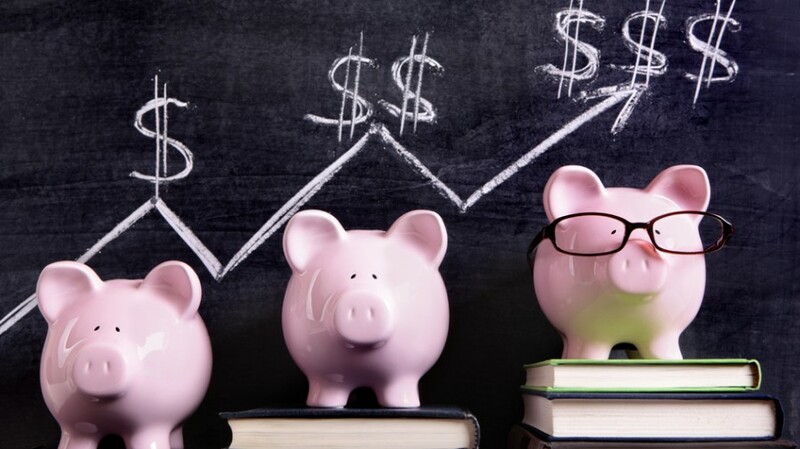 We have not shared all of the ideas for raising funds in this article, but you will find enough ideas to generate funds for your school, whether it is large or small. Getting parents and family members involved through fund raising helps them feel part of the students learning. Remember to thank participants. Also, repeat those fundraisers that are successful and replace those that are not with others. 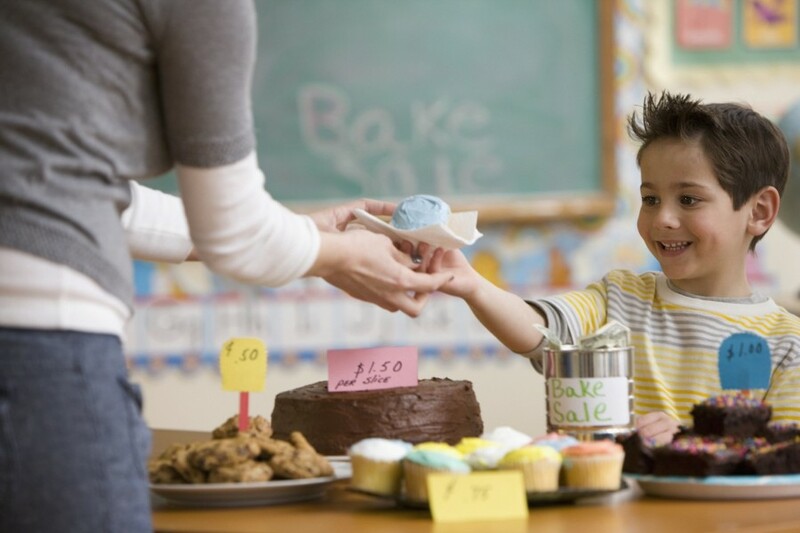 Fundraisers can add both the finances and fun to your students’ school.